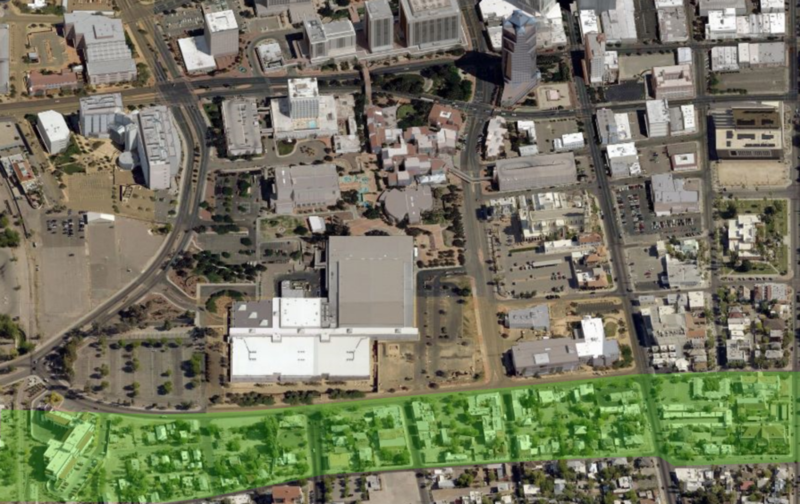 The Dream of a Downtown-Tucson-East-West-Urban Freeway — Sammartino Law Group, P.L.L.C. Any Tucson resident (part-time or full-time) of any age can greatly appreciate this excellent photo album from the Arizona Daily Star of downtown Tucson "before redevelopment." These photos from the 1960s and beyond capture the historic beauty of downtown Tucson. 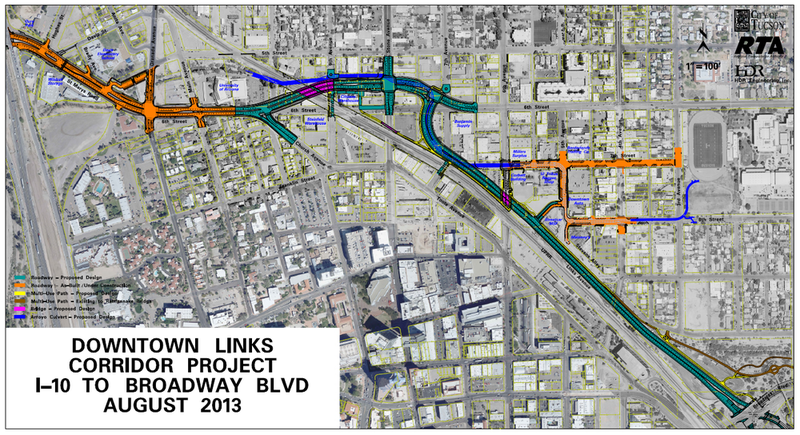 One photograph shows how difficult roadway planning can be. 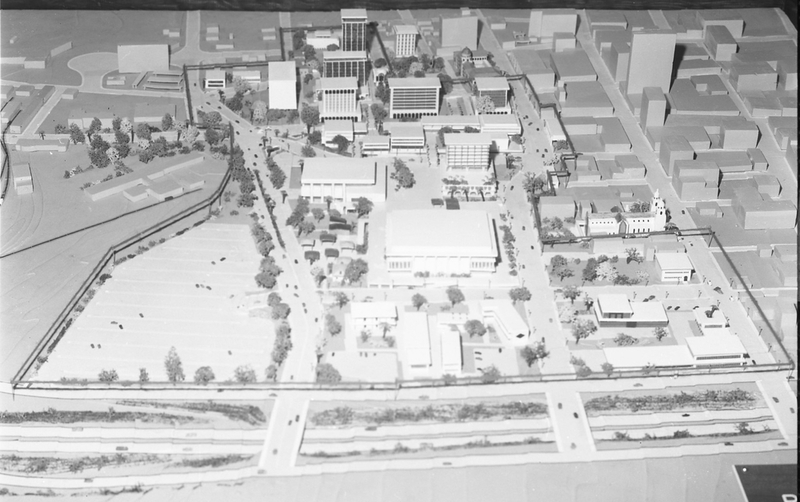 The photograph below shows a 1965 model for urban renewal including a hypothetical east-west urban freeway connecting the east side of downtown directly to the interstate; next to the historic photograph is an aerial photo of the same area in 2013 with the area of the proposed 1965 freeway overlaid with green.